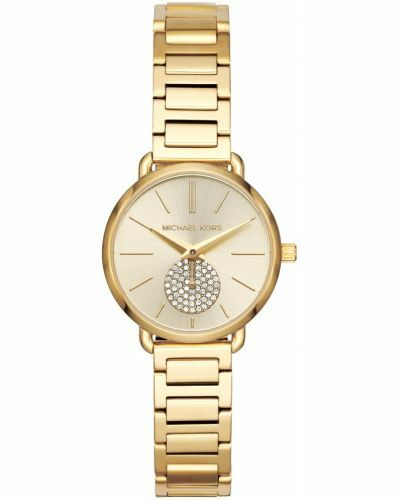 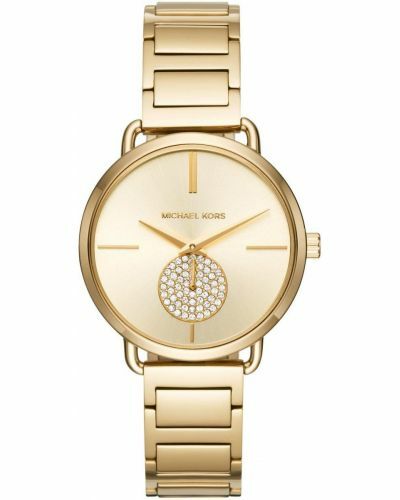 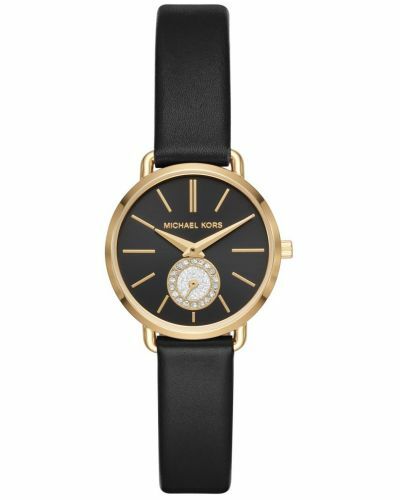 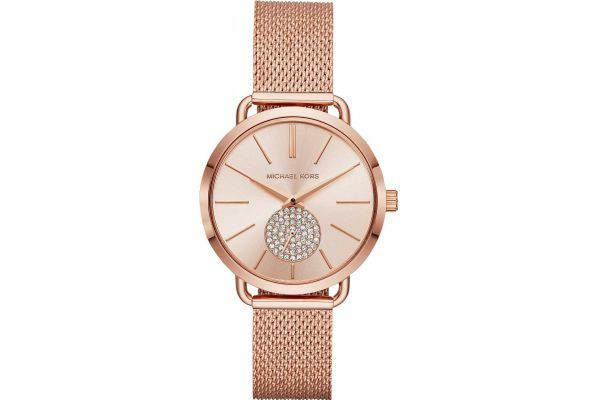 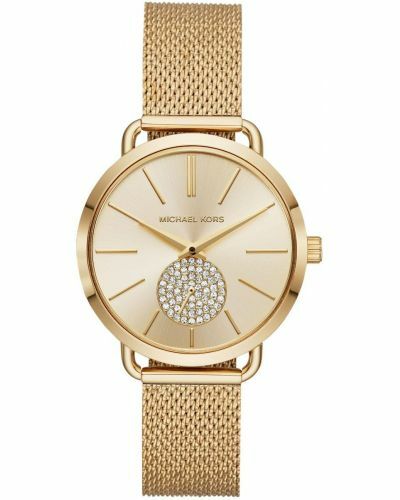 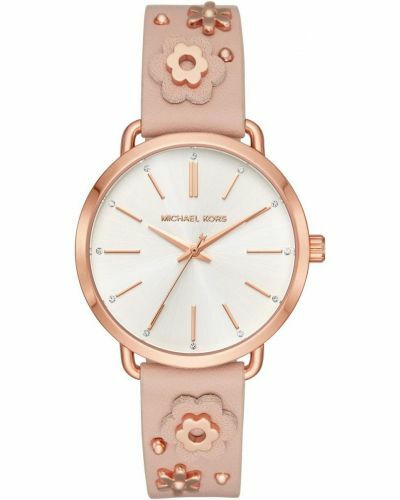 Perfectly on trend, the Portia watch features an elegant polished rose gold plated stainless steel Milanese style mesh bracelet complete with a hook clasp closure. 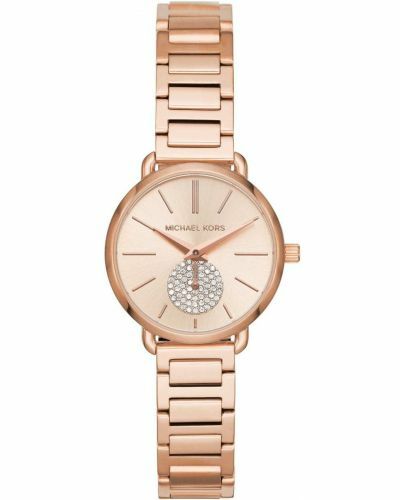 The stunning 36mm round rose gold plated stainless steel case is accentuated by the alluring brushed rose gold bezel and houses a magnificent rose gold sunray dial with a silver pavé sub-dial at the 6 O'clock position. 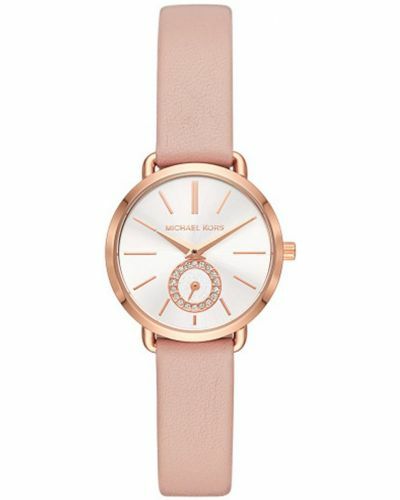 Sophisticated rose gold dauphin hands and second hand complete this mesmerising watch.